If you are looking for a cosmetic clinic and laser skin treatment in Mosman – Sydney, call us 02 9307 2833 and book a consultation now to make your skin look younger and glowing. Vogue Australia has given Infinity Skin Clinic the Best Medispa in NSW Award. Call us at Mosman on 9307 2833 or Surry Hills on 8056 8157 for a consultation including a Visia Complexion Analysis. Dr Charles Cope is a renowned Specialist Plastic Surgeon performing cosmetic surgery in Sydney’s affluential Mosman. His Sydney cosmetic clinics, Infinity Skin Clinics are an important part of his practice, offering clients some of the most advanced specialised skin treatments available in Australia. This award-winning Mosman skin clinic was established in 2004 and is run by highly-qualified professional cosmetic specialists carefully selected by Dr Cope to provide an excellent service with outstanding results. The brand new Surry Hills skin clinic has just opened in October 2018. Staff undergoes an ongoing training program, ensuring that the most up-to-date techniques and treatments are always on offer at Infinity Skin. We also regularly upgrade our lasers and other equipment, so we are always using the latest technology. Our concern for our patients is of paramount importance. At Infinity Skin, we give a superior level of service, safety and efficacy from our team of experienced doctors, registered nurses and skin therapists.Charles Cope to provide clients with a comprehensive range of the latest skin care, lasers and aesthetic treatments. Whether you are seeking a specialised skin laser treatment such as laser resurfacing with the medical grade Fraxel® Re:store DUAL laser, Halo or DUALMODE laser resurfacing, skin-tightening treatments such as Thermage®, SkinTyte™ and Ultraformer III, the ForeverYoung BBL program, Laser Genesis, Laser Hair Removal or a myriad of other advanced skin treatments, you are in safe hands at our cosmetic clinic. Sydney clients mindful of their appearance enjoy the benefits of our effective treatments, which is why we have established a loyal clientele over the years. And in recognition of our commitment to excellence, Infinity Skin has been voted the best Medispa in New South Wales by Vogue Australia. We specialise in all the latest techniques and treatments which address your individual skin concerns and vastly improve the texture and appearance of your skin. Our expertise lies in medical grade skin care and cosmetics, advanced skin laser treatment, non-surgical radio-frequency treatments and more. 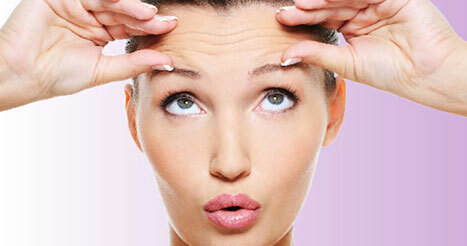 Ultimately, the outstanding results achieved at Infinity Skin Clinic speak for themselves. We can help you achieve more beautiful, radiant skin than you thought possible. See below for a selection of the treatments we have on offer, and feel free to contact us at Mosman on (02) 9307 2833 or Surry Hills on (02) 8056 8157 for a friendly chat and more information about any treatment you are interested in. Anti-wrinkle injections are used to lessen wrinkles and slow down the ageing process, whereas injectable dermal fillers are used to replace volume in the skin, giving instantaneous natural enhancement of wrinkles, folds and facial contours. Infinity Skin Clinic specialises in achieving a natural look with injectables, avoiding an ‘overdone’ appearance. Infinity uses skin-tightening treatments such as Thermage®, SkinTyte™ and Ultraformer III to smooth wrinkles and uneven skin, and improve skin laxity. It tightens and lifts the skin, giving you a younger appearance. Skin-tightening treatments such as Thermage®, SkinTyte™ and Ultraformer III are most useful in reducing skin on the eyelids and tightening the skin on the face and neck, and can also be used to tighten loose skin on other areas of the body. Infinity uses the medical grade Fraxel® Re:store DUAL laser, Halo or DUALMODE laser resurfacing to improve the texture of the skin, restore ageing skin and reverse sun-damage such as brown pigmentation spots. And it is available now at our award-winning laser skin clinic. The the medical grade Fraxel® Re:store DUAL laser, Halo or DUALMODE laser resurfacing treatments are also used for acne scars, and can be used on all skin types including Asian and darker skin. Laser hair removal is the most effective method of permanently reducing unwanted hair and is faster and less painful than other techniques. Laser Hair Removal is normally suitable for all skin types but works best on patients with light skin and on darker and coarser hair. Most areas of hair growth can be treated with Laser Hair Removal. Infinity Skin Clinic has a number of medical grade skincare ranges that are available only through doctors’ clinics. These are more powerful than any products available over the counter for highly effective skin treatment. Sydney clients can benefit from ranges including Results Rx, Aspect Dr and SkinMedica, which contain the highest and most effective concentrations of ingredients including antioxidants and growth factors to improve skin. The Infinity Skin Clinic has a wide range of treatments to improve both active acne and acne scarring, including medical grade skin care and peels, Hydrafacial, Laser Genesis, laser resurfacing with the medical grade Fraxel® Re:store DUAL laser, Halo or DUALMODE laser resurfacing and MDerma™ skin needling. Infinity Skin Clinic can provide an individualised treatment program for your acne to help achieve your goals. Excessive sweating (hyperhidrosis) is commonly undiagnosed and can be effectively treated with a series of injections taking only ten minutes. The treatment results can be liberating, allowing you to wear a greater range of clothing and lead a more active lifestyle without the inconvenience of visibly sweaty areas on your body and stains on your clothing.